The behavior of a chemical system is affected by many physicochemical parameters. The sensitivity of the system's behavior to changes in parameters is known as parametric sensitivity. When a system operates in a parametrically sensitive region, its performance becomes unreliable and changes sharply with small variations in parameters. Thus, it would be of great value to predict sensitivity behavior in chemical systems. 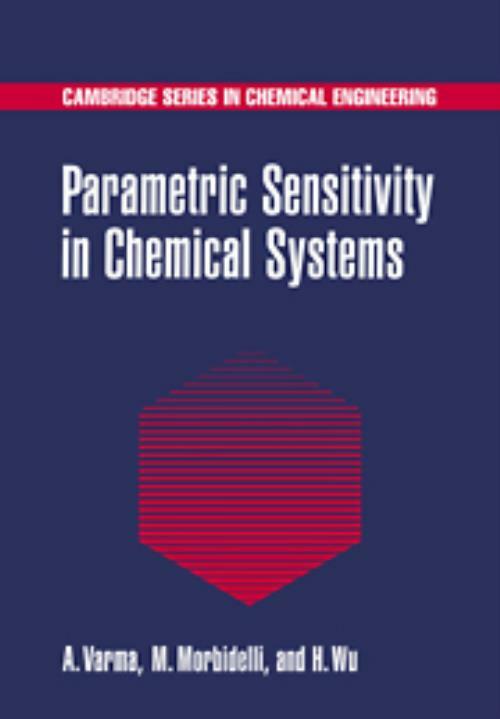 This book is the first to provide a thorough treatment of the concept of parametric sensitivity and the mathematical tool it generated, sensitivity analysis. The emphasis is on applications to real situations. The book begins with definitions of various sensitivity indices and describes the numerical techniques used for their evaluation. Extensively illustrated chapters discuss sensitivity analysis in a variety of chemical reactors - batch, tubular, continuous-flow, fixed-bed - and in combustion systems, air pollution, and metabolic processes. Chemical engineers, chemists, graduate students, and researchers will welcome this valuable resource. 10. Sensitivity analysis in metabolic processes; Index. Arvind Varma University of Notre Dame, Indiana. Massimo Morbidelli ETH Zentrum, Switzerland. Hua Wu Ausimont Research and Development Center, Italy.